Christmas at London Glassblowing is a fantastically festive time of year. Visit the gallery for stunning glass art gift ideas from Peter Layton and our resident and guest artists. 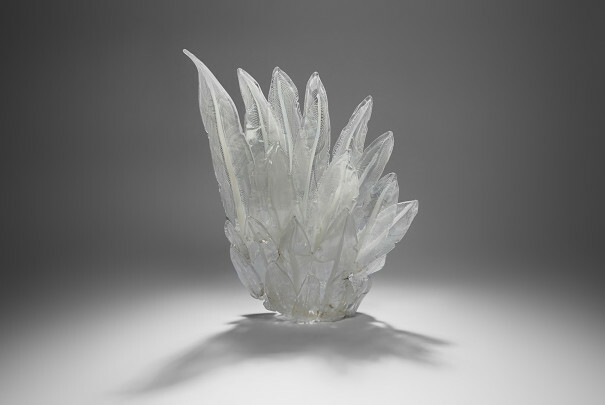 An Eclectic Christmas will feature light and airy kilnformed glass vessels by Amanda Simmons, Stephen Foster‘s intricate rockpool pieces, as well as charming flameworked ornaments by Philip Vallentin. 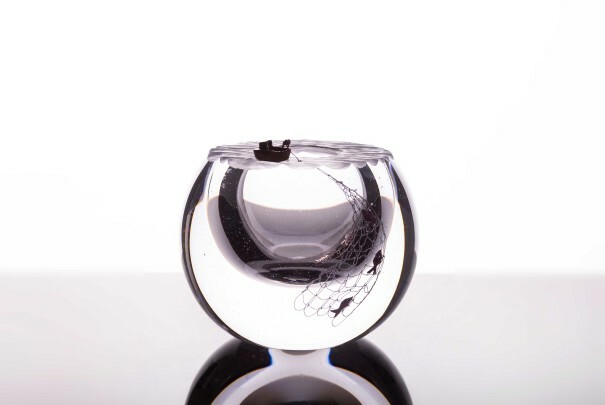 Along with other unforgettable gift ideas like the cheeky cast mice by Morag Reekie, which have captured the hearts of many collectors, while Ruth Shelley‘s geometric kilnformed vessels were lauded at the recent British Glass Biennale. Elegant blown lights by Jonathan Rogers, will also be on display, a new body of work from the maker. 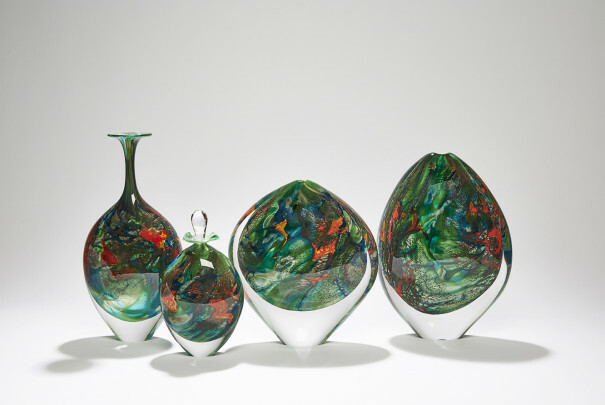 Along with highly gift-able work in his signature series, Peter Layton will launch new miniatures this Christmas, accompanied by his Heirloom Baubles, available exclusively at London Glassblowing during this time of year. Visit for beautiful gifts from £100, and the warm glow of the roaring furnace – London Glassblowing is a destination to start your holiday shopping and get into a festive mood! During An Eclectic Christmas our hours are Monday – Saturday 10:00 am to 6:00 pm, Fridays 10:00 am to 7:00 pm, Sundays 11:00 am to 5:00pm. 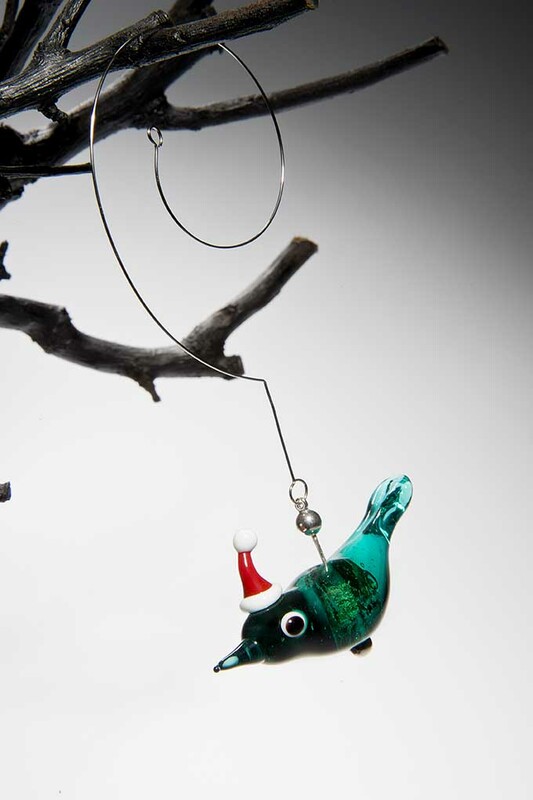 We visit London Glassblowing studios every Christmas to buy a new decoration for the tree. It is one of my Christmas highlights - beautiful glass pieces, demonstrations (and at Christmas, mulled wine and mince pies!) I'd highly recommend popping along - I'm sure you will love it as much as I do! Please note, we will not be offering bauble making sessions this Christmas. We invite you to visit the studio to watch the artists at work or book one of our Experience Day classes, or visit on the 14th of December from 6:00 pm to 8:00 pm for our Glassblowing by Candlelight evening, and enter to win a chance to make a bauble in our studio. If watching the making of Peter Layton’s Heirloom Baubles piques your interest, you are invited to visit the studio Monday the 4th of December or Monday the 11th of December to view exactly how our team creates these unique handcrafted baubles. There’s no need to book, just drop in! With my new work, I have incorporated found objects with my glass mice. I like to use old discarded or found items which have an unknown history and a story to tell. Finding these objects gives me inspiration and ideas for my work. 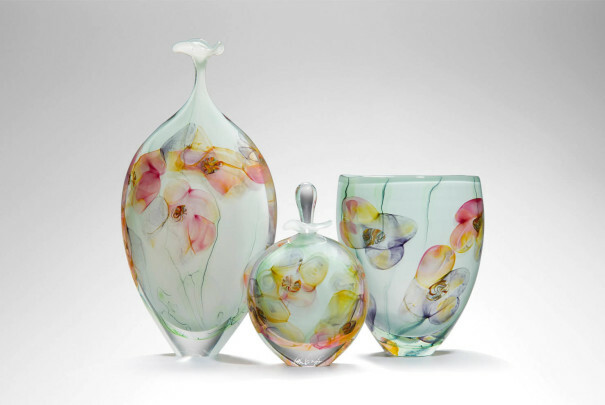 Known for kilnformed vessels in subtle colours and patterns, Amanda Simmons has exhibited her work at London Glassblowing a number of times. For ‘An Eclectic Christmas’, Simmons will present a selection of her kiln formed vessels inspired by natural landscapes and ecosystems. Philip Vallentin’s charming flameworked ornaments will be available in the gallery, along with his cheeky assemblages of animals.